Bad wifi, smellie room, old hotel. Ibis budget was 52 eur, this one double. Not worth the extra money. The room was pleasant enough but small. The bed was comfortable. I found the bathroom dim, as there was just one light over the sink. The hair dryer was not very efficient. For what we got, 153 € was pricey. Staff were helpfull and efficient. Food at restaurant was nice and tasty. But wifi was not properly working. Quite a disappointment. No possibility of hanging clothes in bathroom. 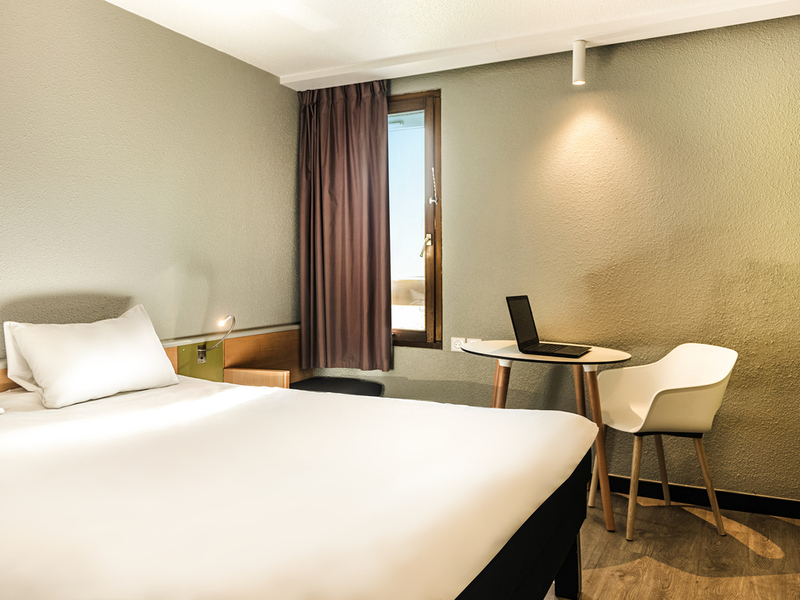 This was our 4th or 5th visit to Ibis Lavigie, on each occasion the staff did their utmost to make our stay a comfortable and friendly experience. In particular Camille Renaud (front of house and reception) went the extra mile to ensure that our evenings in the restaurant were pleasant and enjoyable. John Baptiste also played a bit part in our enjoyment at this hotel. We will certainly return. Dear Jeremy, Thank you for the great review of our hotel! We are glad that you enjoyed your stay and hope to see you again very soon. Sincerely, The full team of Ibis la Vigie ! Arrived at the hotel to a good welcome from an excellent man on the desk made me feel very welcome. Unfortunately when i came down for dinner I was told they were only open for the tour party and nothing was available and I should possibly visit the Hippo Restaurant on the roundabout - which I did. Bed and room clean and comfortable, breakfast relaxed. Parking was good too. fine hotel, nice rooms (we had a triple room) bathroom new and clean.free parking is very good and breakfast small but good! madelaines and croissants are delicious! for the 2nd time here and we will come back! Perfect overnight stop for us on our trip to Italy. Everything was fine. Reception girl was great and so helpful. We had perfect small dinner from restricted menu!!! Very comfortable stay, lovely clean room, comfy bed and friendly, polite and efficient staff. The staff was very nice and helpful. They provided us with tips and advices about tue city and we felt like they are trying to fulfill all our wishes. No hot water to take a decent bath !!! I was only one night, i have to book 2 rooms because i was traveling with my wife and 2 kids ( 5 & 8 years old ). Everything was good : reception, welcome drink, location, etc. At morning we realize that our room 204 had not any hot water to take bath, then we went to the other room 202 and then the hot water came in waves so We have to take bath with periods of hot & cold water !!! Staff excellent, polite, friendly and helpful. There were however too few of them, badly over worked. Third time we've stayed here, good stopover on the way to Switzerland. Fast, friendly checkin, clean room.